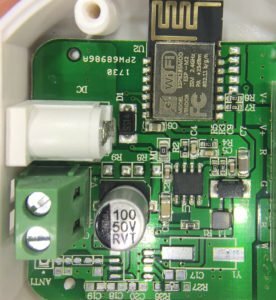 This post is a follow up from Part 1 of my series of posts covering the installation of a multi-zone WiFi Controlled LED lighting system. 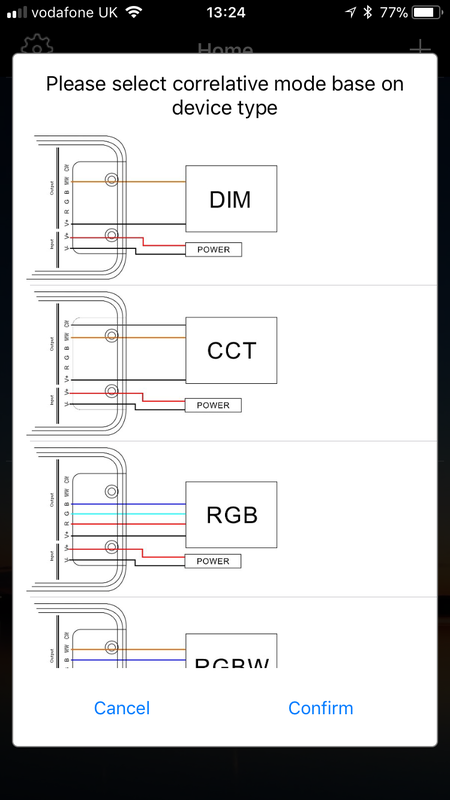 In the previous post I explained by decision to use Magic Home based lighting controllers over the MiLight products as they avoided the need to have a WiFi Hub/Bridge for the lights. 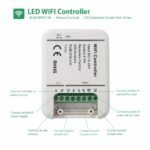 I ordered 4 different WiFi LED controllers to evaluate, they are similarly priced and typically all available on Amazon and eBay. 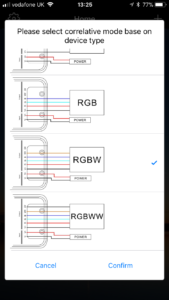 As mentioned previously, be careful to ensure if you require a RGBW controller that you are careful to select the correct 4 or 5 channel versions, I found several eBay listings that showed picture of RGBW controllers but the listing details stated they were RGB only. In addition the UFO is available as a Bluetooth version, which may meet your needs, but I specifically wanted WiFi Controlled LEDs for later integration with Home Assistant. To evaluate which controller to use I examined the paper specs, the physical composition and the integration with the controller application. The documentation accompanying each of these controllers is poor and sometimes contradicts what is printed on the cases of the controller. 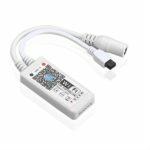 The Mini WiFi Controller makes a useful test controller as it’s 5 pin interface is pre-soldered to most LED strips, with the addition of a IR remote it also saves needing to use the Magic Home App when testing. The SU705 lacks a DC Jack connection, relying on screw terminals for all connections. It also lacks any form of integrated mounting solution. 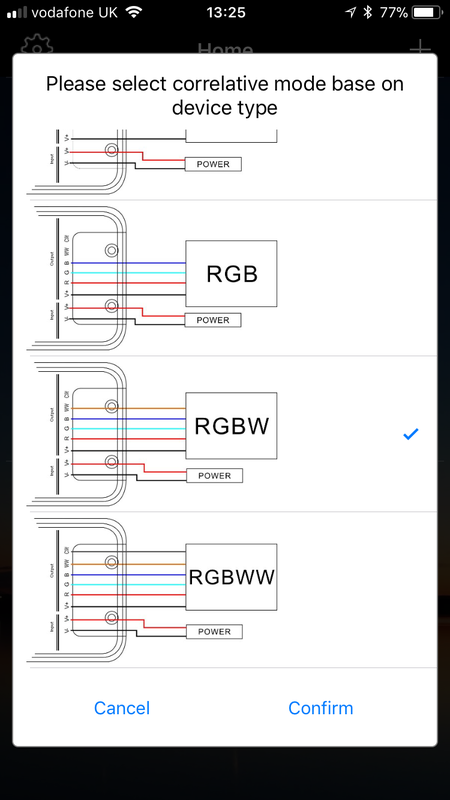 The SU705 and SU794 have separate Cold White (CW) and Warm White (WW) connections, based on diagrams from Magic Home it indicates that using WW/CW connections are for when using combined CW/WW (CCT) strips, or RGB + a separate CW and WW LED, requiring 6 connectors per strip. Aside from the extra screw terminal for CW the SU794 and UFO share very similar external designs. However internally they are different. The controllers share similar designs, with the majority using ESP8285 WiFi SOC, and the majority using a MOSFET outyput stage to deliver the power to each channel. The Mini WiFi Controller uses smaller SMD components, which I’d question the ability to deliver the same power output as the other controllers, at least not without significantly higher heat load. The new 5 Channel Sunix controller uses a significantly different design to the rest, opting for a different WiFi SoC solution. The ESP8285 has 15 GPIO outputs compared to 6 found in the HF-LBP100. 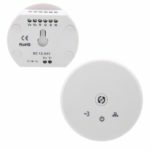 The ESP8285 also includes an integrated IR remote control interface which is lacking on the HF-LBP100. The price of the HF-LBP100 also appears to be considerably higher around $12 compared to $2 for the ESP8285. So why would the black Sunix controller called out as the “new version” use a more expensive WiFi module released in 2011, rather than continue with the ESP8285 released in 2016? I don’t know, however checking Amazon and the black version is no longer available or listed as a new version of Sunix controller as it was when I purchased the controller in December. Components are small SMD devices. Without fully understanding the output stage, I’d question the ability for the device to support <=192W per channel without significant heat issues. During fade functions there is a whine noise emitted from the board. It’s not excessively loud but detectable nonetheless. All components are mounted on the top side of the board, nothing on the reverse. The PCB is cut beneath the ESP8285 WiFi Antenna section so as to avoid blocking the signal. 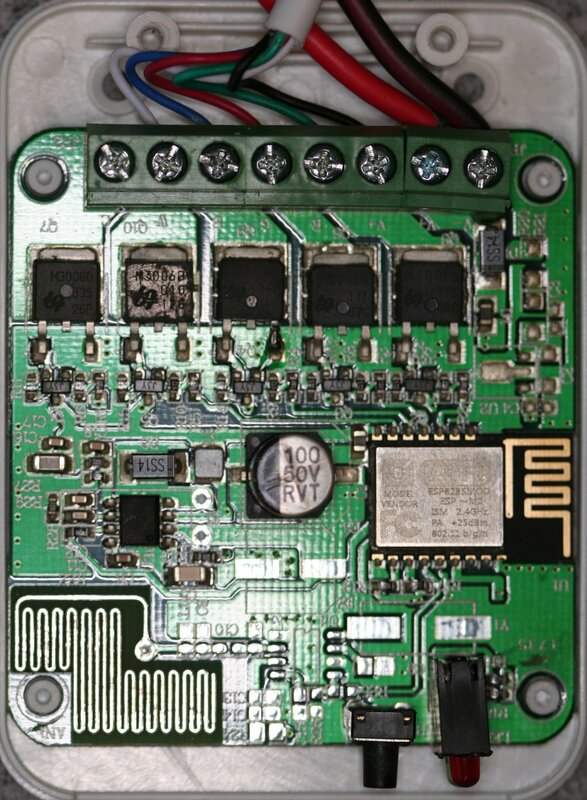 The lower left of the board contains are large antenna and space for numerous other components. I assume this maybe if this board was extended to support RF remote control, in addition to or instead of WiFi. 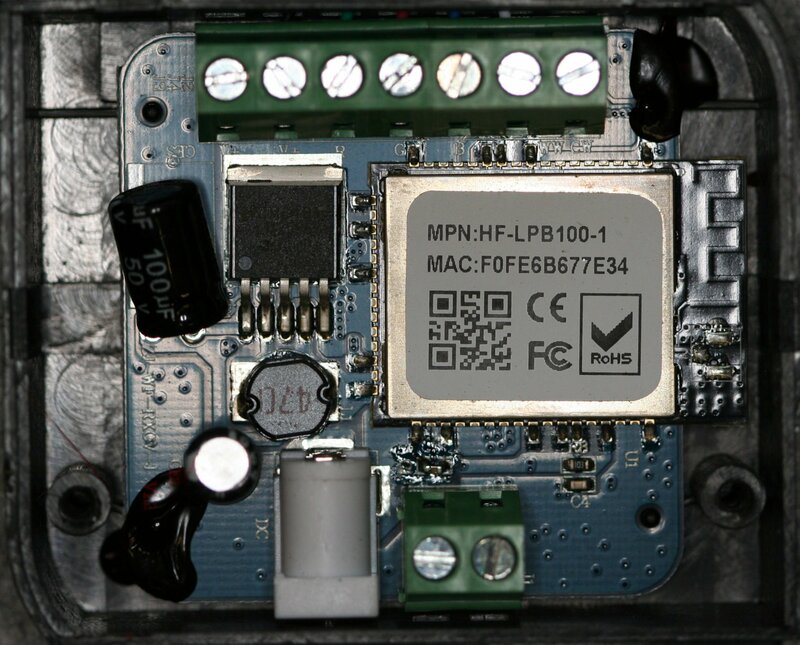 The rear of the board contains labelled pads for access to the ESP8285, which could enable easy flashing with new firmware along with the possibility of extending the capabilities of the board. Regular electrolytic capacitors (not aluminium can chip type) are used. The rear of the board includes a DS1302Z which is probably used for date/time based event triggering. This is the only design to not use the ESP8285 SoC solution. The supplied/default firmware has a web server running on the device with easy to guess admin credentials. 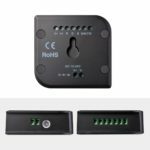 This interface provides a number of configuration options, as detailed in the chips user guide. Including firmware replacement. Amazon UK: No longer available on Amazon. The listing now links to the original 5 channel controller above. It was £15.99 when I purchased it. MOSFET based output stage. 4 MOSFETs one for each channel R, G, B, WW. Similar to the Sunix 5 Channel controller. This looks like a 4 channel version of the 5 Channel original Sunix controller. Removing the extra channel and the extra radio antenna, and altering the packaging slightly to allow for a DC jack rather than just wired connections. 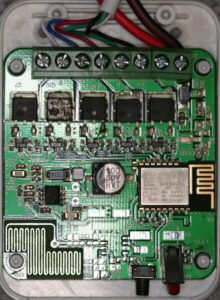 The bottom section of the board still includes space for additional components and a connection labelled ANT1, I suspect this would be for using the same board with a Bluetooth interface rather than WiFi, as this UFO comes in 2 versions. 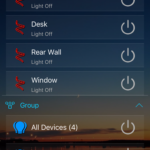 All of the devices can be controlled from the Magic Home App which is available of iOS and Android. 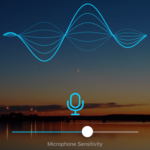 There is also an Amazon Alexa Skill available along with support for Google Assistant, to enable voice control, though I personally plan to integrate these with Home Assistant, for most this skill is likely to be sufficient. When initially powered on controllers create their own wireless network. Using the Magic Home application you add the devices and specify your wireless network to join, this information is stored in the device. 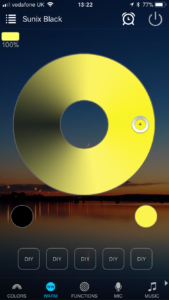 When connecting either of the Sunix branded controllers to the application it was necessary to specify the type of device before use. 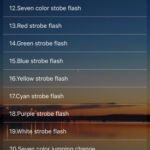 This maybe due to some missing capability within the implementation on the Sunix devices, or because these are both 5 channel devices, more information on their configuration needs to be provided. 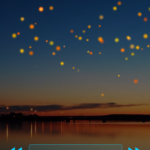 Both the Mini and UFO appeared to be automatically detected. The Mini and UFO have a single page of the UI to control colour, brightness and the warm white LED. 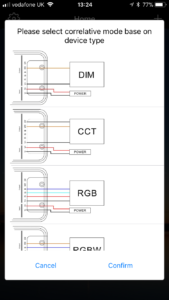 The 5 Channel Sunix controllers have a page for controlling the RGB colour and brightness and a second page for controlling the warm white. I found this method more cumbersome to work with, when trying to blend RGB and WW. 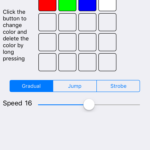 Ability to create custom modes/functions. Lights reacting to device microphone. 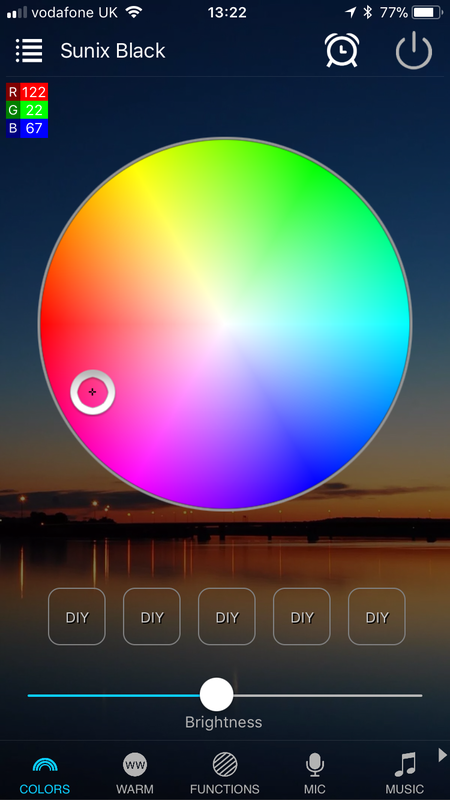 Ability to use the device camera to select a colour. 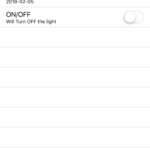 Timer to turn on/off lights at a given time and day of the week. Note that with multiple controllers, colour change effects or music driven changes, aren’t always in precisely synchronised across controllers. So what did I select? Well I experimented with a few of these and whilst i could have used a mix of controllers as it wouldn’t significantly impact my final implementation. Deciding to keep things simple I opted to use a single controller type for the room. I was slightly put off the newer Sunix black version, due to adopting a different WiFi module compared to the rest, and the presence of a web server running by default didn’t sit right with me as these lights were intended to be used with the Magic Home app, the web server appears unnecessary and adds an additional security risk within the my network. 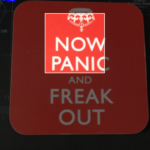 So I opted to standardise on the UFO version and purchased 3 more of these for less than £10 each on eBay. The next part in these series of posts covers the installation process and some of the problems I experienced along the way. Daniel, I’m not quite sure what you are asking. Are you saying you decided to flash the ZJ-ESPM-5CH-B with the stock firmware for the HF-LPB100 Module, and now it doesn’t work with the App? 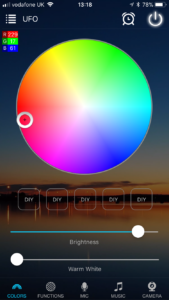 This might be expected as the firmware or configuration would likely have been adapted for specific use within the LED controller and for how to interact with the application.